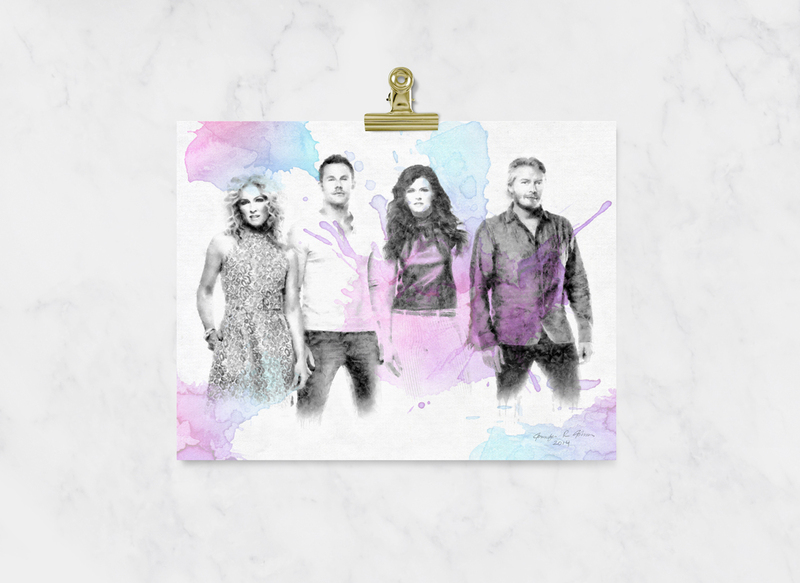 Painting of American country music group Little Big Town. I was inspired by the country quartet’s CMT Music Awards performance of their single Day Drinking. At the beginning of the performance, they were dressed completely in white, as were the backing musicians. During a suspenseful pause, suddenly large drums became the focal point and streams of colorful paint powder erupted from the front of the stage, splattering the group from head to toe.